Here’s an image I created for this year’s Doo-Nanny, which will be on Butch Anthony’s farm in Seale, AL March 25-27. I’m printing this on t-shirts which will be available at the Doo. 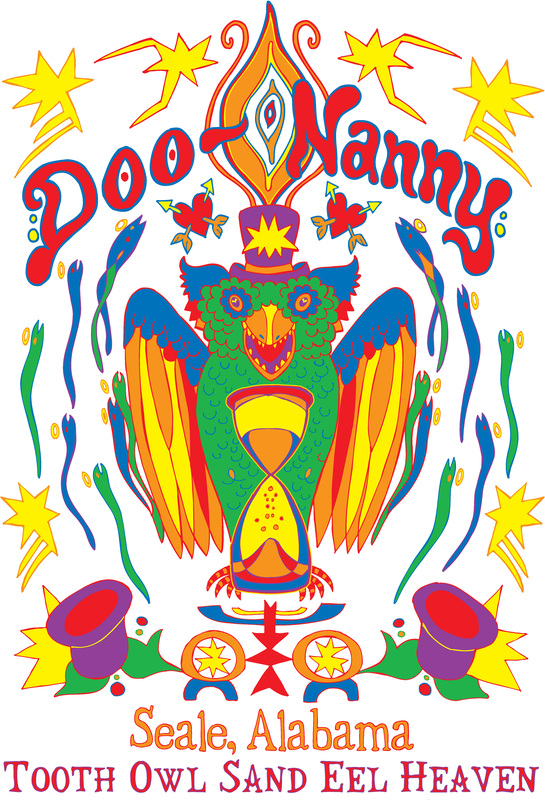 Find out more about this one-of-kind lo fi festival here: www.doo-nanny.com. 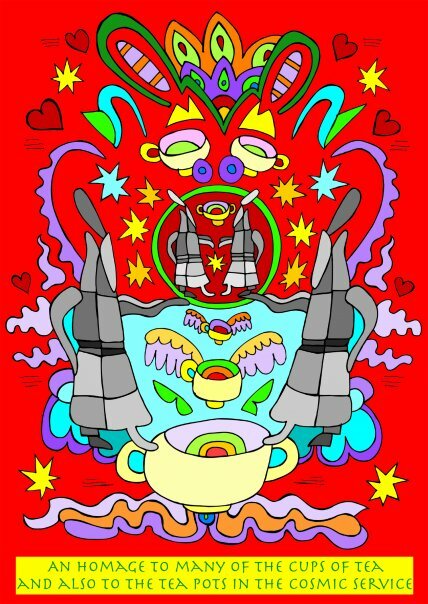 This is a variation on an earlier piece in the private collection of Jeremy “One” Logan, Called the Cosmic Coffie Service. I have a fascination with Coffee and Tea Pots and Hot, Steaming Cups of liquid. I feel like they have a very healing nature. I dream of these big Pots of tea floating in Space.